Are We Ready for Humanoid Robots in Retailing? As we have noted numerous times over the past few years, retail technology has been changing the face of retailing — for both small and large firms. 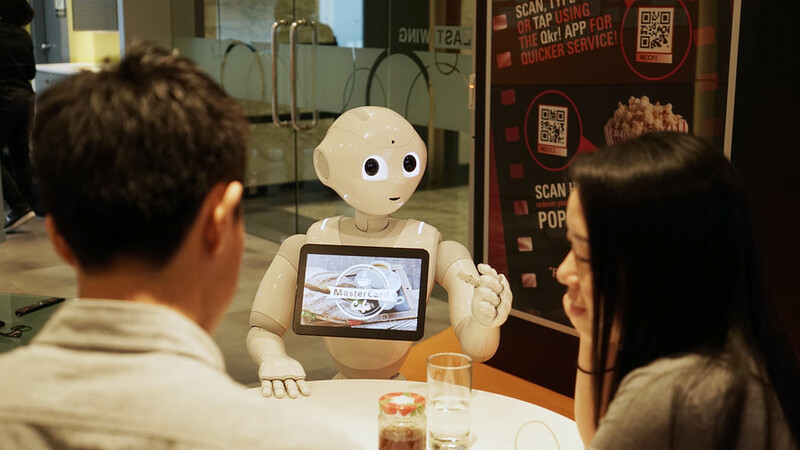 So, are we ready for personalized robots taking our orders and payment at restaurants? Here is a photo of Pepper from MasterCard. Below the photo, there is a YouTube video. This entry was posted in Part 1: Overview/Planning, Part 2: Ownership, Strategy Mix, Online, Nontraditional, Part 3: Targeting Customers and Gathering Information, Part 5: Managing a Retail Business, Part 7: Communicating with the Customer, Technology in Retailing, Video Clips (non-career) and tagged customer expectations, customer service, experiential retailing, humanoid, Mastercard, MasterPass, opportunity, order fulfillment, Pepper, Pizza Hut, planning, robot, SoftBank Robotics, YouTube. Bookmark the permalink.